This is an Arri Compact 4000 HMI Fresnel Kit. It includes an electronic ballast, 50′ cable, filter frame and barndoor set. The ballast is dimmable via a rocker switch, or your DMX control board. 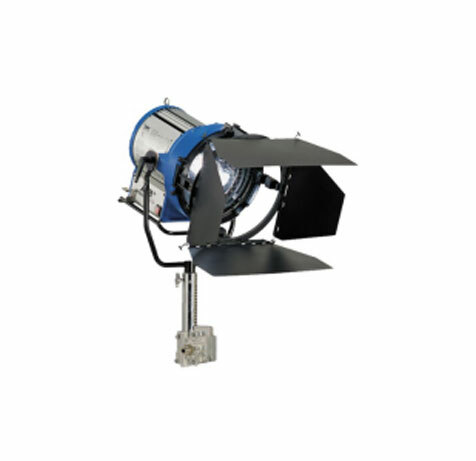 Where compact, lightweight Daylight Fresnel spotlights with high efficiency are required, Arri is the preferred choice.